The CDC (Center for Disease Control) estimates that just over 20% of Americans-about 54.4 million people-were diagnosed by physicians as having arthritis between 2013-2015. The good news is that that number has not increased much since 2002 however the number of Americans reporting that they are limited in their activities by arthritis has increased to 43.5% of adults which is up from 35.9% in 2002. So what are we blaming it on? Arthritis is a condition that involves inflammation of one or more joints in the body. Typical symptoms for people with arthritis include pain, swelling, stiffness, limited range of motion and eventually weakness from disuse or avoidance due to pain. Pain can range from minimal to severe and tends to worsen with age or increased stresses being put on the joint. Arthritis can affect any joint and can be found in any race, gender or body type. There are two main categories of arthritis: degenerative (typically osteoarthritis) and inflammatory (such as Rheumatoid or Psoriatic Arthritis). Psoriatic arthritis is an autoimmune disease where the body’s immune system attacks its own tissue, causes inflammation, joint pain, stiffness, and swelling. The inflammation can affect the whole body, or just part, and can lead to permanent joint or tissue damage. Rheumatoid Arthritis is an autoimmune disease where the body’s own immune system mistakenly attacks the joints. Inflammation is created causing the synovium to thicken, causing swelling and pain in/around the joints. Some inflammatory processes are consistent with genetic factors or could be discovered in Rheumatologic screening panels and these typically affect joints bilaterally and can be widespread throughout multiple joints in the body. Osteoarthritis is a degenerative disease including wearing down of joint cartilage and the underlying bone. It typically affects one joint at a time but may ultimately be present in multiple joints due to the stresses and strains the body must endure with physical activity and compensatory strategies. Joints endure significant stress through the demands place on the body during daily life, with sports and exercise or even when static postures are sustained in unnatural ways such as slouching or resting weight unevenly through joint surfaces. The best thing someone can do to prevent arthritis is to stay flexible, strong and moving and to avoid excessive weight. For every pound of body weight you gain, your knees gain three pounds of added stress; for hips, each pound translates into six times the pressure on the joints. After years of carrying extra weight, the cartilage that cushions the joints tends to break down more quickly than usual. Thus, losing weight can reduce stress on joints and also reduce the pain in osteoarthritis-affected joints which will help you feel and move much better. Tight or weak muscles can alter alignment of the joints which adds uneven stresses and thus the potential for uneven wearing down of the cartilage (the shiny, slick lining of our joints) and joint surfaces leading to what is known as “bone on bone” arthritis and ultimately pain. 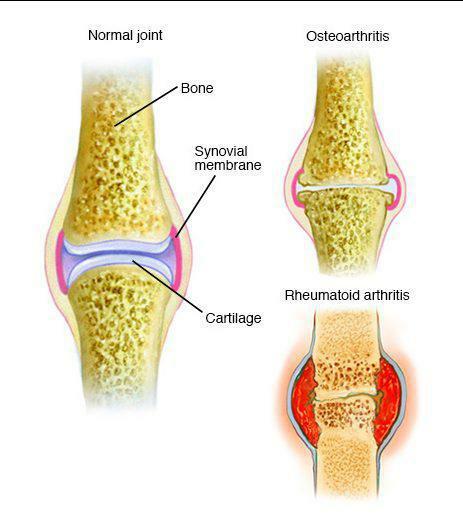 Diagnosis of arthritis is usually confirmed via x-ray and if a systemic origin is suspected, possibly blood work. Standing x-rays give your doctor the best idea of the state of your lower extremity joints with regards to arthritis because the weight of your body adds compression which may demonstrate more narrowing of the joint space than if you were not weight bearing. Since we live most of our lives moving around and this is likely when you will have pain what better way to assess, right? Once the joint surfaces have been worn down, there is nothing we can do to “undo” the damage but we have several options with regards to treatments for pain and to improve one’s quality of life. Though pain killers and opioids can address the pain, they are not fixing the problem either and can result in other ill effects for the body including addiction. The CDC recommends physical activity and cognitive behavioral therapy as a proven strategy for management and recommends against the use of opioids. 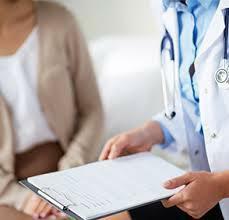 Doctors may be able to offer a variety of injections including cortisone based injections, lubricant injections, or PRP (platelet rich plasma) injections depending on the severity of the arthritis noted and any possible allergies the person may have. Depending on the area of concern, sometimes certain braces can be used to help control the pain and/or offload joint stresses. 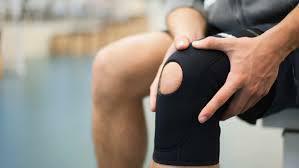 These are most common at the knee and may include neoprene sleeves which help provide a neutral warmth for increased blood flow or an “unloading” brace which helps put pressures on the bones of the leg to take the stresses off the part of the joint that may have increased compression or irritation. Exercise with arthritis is recommended to keep the joints lubricated, blood flowing through the area, and to maintain strength and flexibility. Typically the joints may feel a little sore upon starting activity but hopefully will go away within a short time. If pain continues but does not get worse then it means that activity is not irritating and could be continued. If pain worsens then cease exercise. We do not want sharp, shooting or throbbing pains but light achiness or soreness is ok as long as followed up with icing and rest. Also, if increased joint swelling is noted you may consider backing off the intensity of the exercise but not becoming sedentary! Aquatic therapy or using the Alter G (AntiGravity Treadmill) are other ways to decrease joint stress while still exercising! Talk to your medical provider to see if there are any other health precautions before beginning a new program. Once all conservative approaches have been exhausted, you may be a candidate for a joint replacement. Talk to your physician if this is something that you may be interested in and join us for our Joint Replacement Community Lecture in July! Written by Lauren Masi, PT, DPT, OCS, ATC, Co-Owner and Clinical Director of Lafayette Physical Therapy. Info-graphic photo used came from: The Mayo Foundation for Medical Research and Education.